HI!!! Our month long Birthday Celebration continues over at A Blog Named Hero. This week we are teaming up with Avery Elle. I love AE!!! The stamps stamp beautifully and they pair SO WELL with Hero Arts stamps. It's a match made in heaven. I was so excited about this combination that I made not one but TWO cards for it. I took my color inspiration directly from the Avery Elle packaging. My FAVORITE color combo. 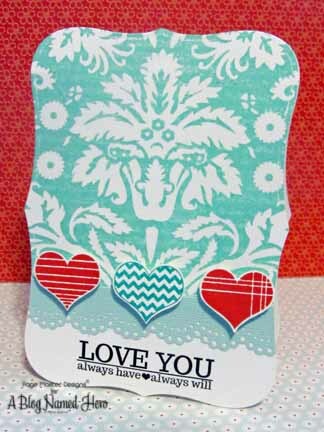 Next up I used just the sentiments that the little heart grouping (which I LOVE). Another very simple card. I just wanted the stamps to speak for themselves. 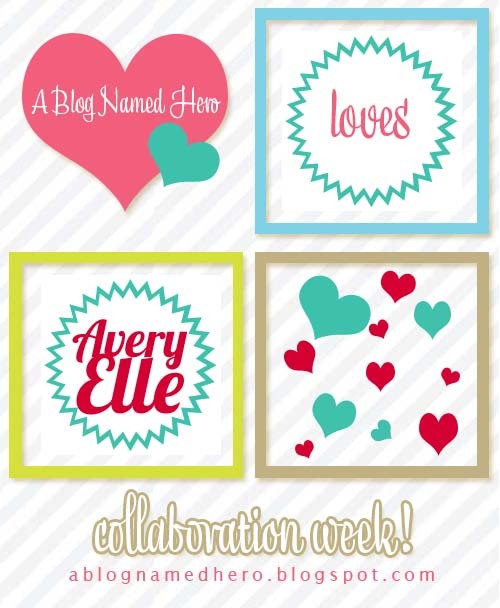 Please stop by A Blog Named Hero to see the other girls creations ( I hear there might be a give-a-way or two ;) ) Also, please check out Avery Elle's blog for even more inspiration. Have a wonderful day. Hi Michelle! I LOOOOOOOVE your cards for today! Awesome collaboration of these sets. BRAVO!! ooooohhhh, LOVE these! Awesome color combo too! 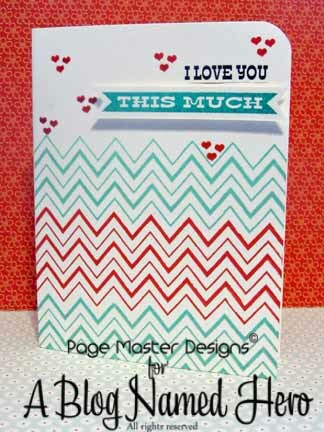 One more thing....I love these fabulous colors combos...great cards!! I've tried for days on end to figure out how to "link" my supplies like you all do and I have yet to get it right...UGH!! I am terrible with directly and find it easier when someone shows me...maybe that's something we can do together SOON! !